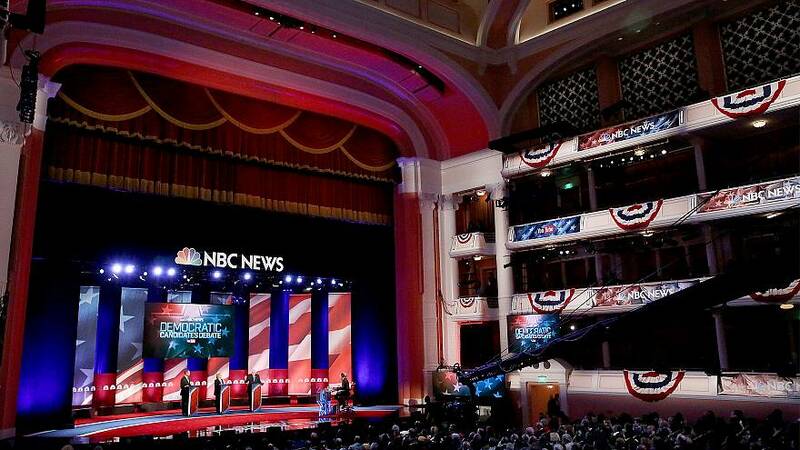 The first Democratic debate of the 2020 presidential primary will be held on June 26 and 27 in Miami, Florida, NBC News, the host of the debate, announced Thursday. MSNBC and Telemundo also host. Details on the venue, moderators and timing will be announced at a later date, NBC News said in a release. The debate will also stream online free on NBC News' digital platforms, including NBCNews.com, MSNBC.com, the NBC News Mobile App and OTT apps in addition to Telemundo's digital platforms. The Democratic National Committee previously said the lineups for each debatewill be chosen at random, not strictly from how candidates are ranked in polls. To qualify, a candidate will need to either have at least 1 percent support in three qualifying polls, or provide evidence of at least 65,000 unique donors, with a minimum of 200 different donors in at least 20 states. Already, more than a dozen Democratic candidates have launched presidential bid with other big names, like former Vice President Joe Biden, appear poised to still enter the race. If more than 20 candidates reach one of those two qualifications, the top 20 will be selected by using a separate method that rewards contenders for meeting both thresholds, followed by highest polling averages, and then the most unique donors. There will be 12 debates in total over the 2020 Democratic primary season — the June debate is the first of six scheduled this year, with six more scheduled for 2020. CNN will host the second debate in July. The expanded debate platform comes after the party was criticized in previous presidential primary cycles for having too few debates.